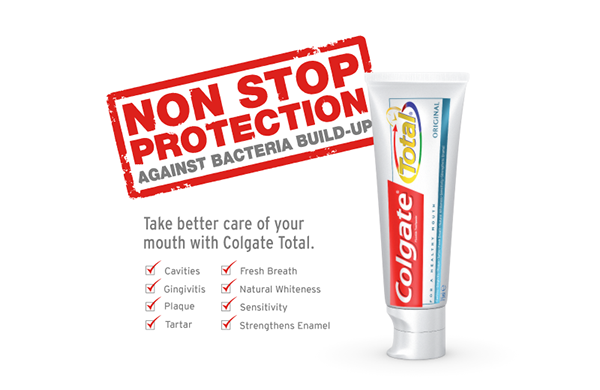 Colgate Palmolive is embarking on a promotional drive of the relaunched Colgate Total toothpaste following the removal of the controversial ingredient triclosan. The oral care company is hosting a launch party on 31 January as well as an advert within the Super Bowl on 3 February. Colgate Palmolive has stood by the inclusion of triclosan and rejected health concerns regarding the ingredient based on an approval by the U.S. Food and Drug Administration, despite the FDA acknowledgement that studies question its link to cancer. Having developed the new formulation over a course of 10 years, Colgate Palmolive previewed the new formulation at a conference in September, however, it hasn’t shouted about the removal of Triclosan or the reasons behind the move. According to a transcript of Barclays Global Consumer Staples Conference, Chief Executive Officer Ian M. Cook said, “We are bringing to the marketplace a completely new Colgate Total,” whilst highlighting it would treat the same things as before such as plaque, enamel protection and cavities.